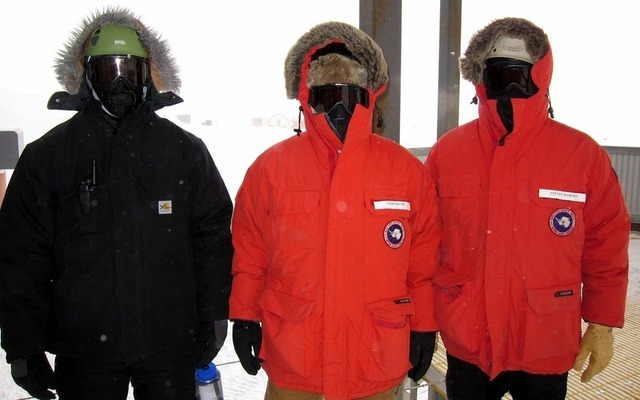 Ars Technica recently profiled one of the coolest jobs in tech: tech support in Antarctica. The Wisconsin IceCube Particle Astrophysics Center runs and supports a data center and cloud computing network on the South Pole. All those computers require IT support staff - both onsite and remote support via satellite connection. During Summer, over 1,000 scientists can be working at the South Pole, so tech support needs expand. Read more about these unique IT guys at Ars Technica. Or apply to work at IceCube. Valley News Live reports that some people have recently received fake out-bound tech support calls from agents pretending to be Microsoft technicians. These fake support calls may be attempts to steal financial information, install malware, or access files on your computer. You should only accept tech support calls from legitimate tech support providers, like My Phone Support or your PC manufacturer. If you are unsure about the call, ask for a call back number or case ID so you can verify the source, or just hang up. Also, you should only get tech support calls when you sought support initially, not unprompted calls out of the blue. Uncle Mike still doesn't know how to cut and paste? Grandma wants to you help her add a desktop picture? Finally, there is an answer! Google has released cute e-card/video website that let's you send your tech-challenged loved one a little help. Just answer a few questions, select the tech skills you want to teach, and your own personalized e-card is ready to go. HP Plans to offer customers of its "Elite PC" products a dedicated tech support person for the life of their product. HP's "Elite PC" computers are laptops and desktops sold to business, government, and institutional customers. According to HP, "the HP Elite premium technical support package was introduced one year ago to give HP Elite Series customers a differentiated, white glove customer support experience." HP also gives users an option to select an "agent of choice" to always work with one particular tech support agent. Currently, the Elite technical support is not available to standard HP home users. Dell to Focus on Enterprise and Business? Michael Dell announced that Dell will be focusing more and more on servers, "big data," cloud systems, and enterprise IT. Currently, half of Dell's profits come from servers and enterprise products. Dell will probably not be leaving the home consumer PC market anytime soon, but it may end up being a less important part of the companies focus. Microsoft announced that Google was also circumventing privacy preference on the Internet Explorer web browser. The news comes in light of the recent discovery that Google was able to bypass security on Apple's Safari web browser and place tracking cookies. Dean Hachamovitch (of the IE team) reported in a blog post: "the answer is yes: Google is employing similar methods to get around the default privacy protections in IE and track IE users with cookies." As with the previous cookie loophole, it is likely that Google will cease the practice and that Microsoft will tighten the IE code to stop the practice, but individual users may want to clear their cookies or at least examine them a little closer. Microsoft announced the release of their new Windows 8 logo, which is a departure from the colored flag panels Windows was used for the past 10 years. According to Microsoft, the new logo is part of a "reimagination of the Windows operating system." The new logo also reflects the new "Metro" design aesthetic that Microsoft created for Windows Phone and Windows 8. The Seattle Post Intelligencer has a timeline of previous Windows logos here. Google has been dropping tracking cookies on Apple's Safari browser using a loophole in Safari's privacy settings. The issue was reported by the Wall Street Journal in collaboration with Stanford research Jonathan Mayer. Google tricked the Safari browser into placing the cookie by submitting a fake form to mimick user interaction. The allowed cookies to be placed on iPhone, iPad, and Mac computers. In a statement from Google, the company said "we have now started removing these advertising cookies from Safari browsers" and that the practice has been mischaracterized. In response, a class action lawsuit has been filed in Delaware by lawyers representing Matthew Soble. What to do if you're a Safari user? Google says it will be stopping the practice and Apple may make changes that close the loophole. In the meantime, consider examining your cookies and deleting some of all of them. The Wall Street Journal also has an article about some other options. Welcome! We're excited to be expanding our website with our new My Phone Support blog. Our blog will cover tech support news, security issues, industry trends, and other items of interest. We hope our blog opens the door to additional discussion with our customers and lets us continue to help you with all your tech support needs. We hope you'll visit again as the blog grows.